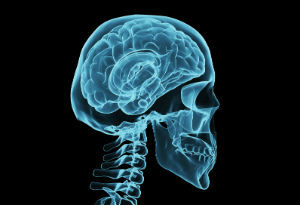 A new study reveals that concussions among children and teenagers have doubled in recent years. According to the Centers for Disease Control and Prevention (CDC), more than 284,000 children end up in the emergency room every year with sports or recreation-related concussions. Because that figure only represents those who go to the emergency room, many experts believe the actual number could be closer to two million, or even more. If your child received a concussion from a situation that wasn’t at any fault of their own, reach out to our personal injury lawyers in Tulsa. Get a free case evaluation by giving us a call today. By analyzing health insurance claims for nearly nine million Americans, researchers found that the number of diagnosed concussions spiked from 2007 to 2014. With more than double the amount of concussions of previous years, researchers questioned if the rise was an actual jump in injuries or a reflection of increased diagnoses instead. One reason could be that kids are outside more. Adolescents ages 10 to 14-years-old saw the most dramatic increase in concussions diagnoses, which increased by 243 percent. This group was closely followed by older teens, ages 15 to 19-years-old who saw a 187 percent increase. While the exact origins of the concussions were not known, the likely culprit was thought to be injuries from sports and other activities like skateboarding and biking. Previous studies reflected concussion spikes in teenagers and children but were specific to particular groups like athletes. This study focused on a broad cross-section of the population. In recent years, sports-related concussions have received growing attention, which has helped educate parents, coaches and young athletes about how to recognize and respond to possible head injuries. Since 2009, all fifty states have passed laws targeting concussions in teens and younger athletes. Nicknamed “return-to-play” laws, these laws mandate that children participating in sporting events to be pulled from games a concussion is suspected. If you believe negligence lead to your child’s concussion or another injury, contact the Tulsa personal injury attorneys at The Edwards Law Firm and for a free review of your claim. Contact us today to get started.